Sprinkle a bit of magic and luxury in your day with a coastal helicopter tour, wine tastings, masterclasses, and enjoy a luxury three-course meal featuring exceptional local ingredients. 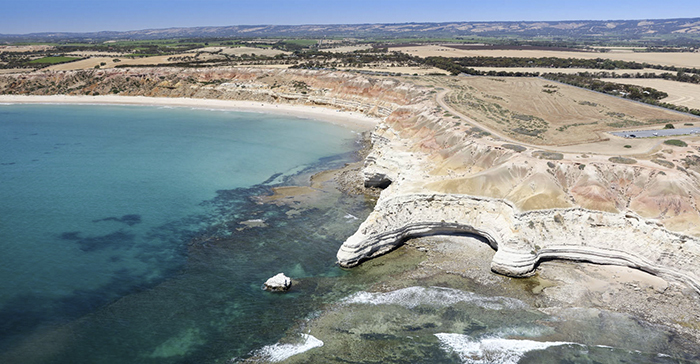 Get the best view of the Fleurieu Peninsula from above and below, from white sandy beaches and pristine waters to the lush rolling countryside and wine country. Get the best view of the Fleurieu Peninsula from above and below, from white sandy beaches and pristine waters to the lush rolling countryside and wine country. Coast & Fly compliments the stunning natural landscape with the finest wines of the region and one of its signature dining venues. Start your journey at historic Wirra Wirra cellars for a behind the scenes tour and tasting in the Original Cellar Door then take a drive along Silver Sands beach, renowned for its white sands and crystal water. One of the big highlights of the tour, the 30-minute scenic helicopter flight over McLaren Vale’s coast and vineyards, is guaranteed to take your breath away with the beauty of the landscapes below. Your scenic flight is followed by a three-course lunch at Ekhidna Restaurant with matched wine, and then a masterclass at Bekkers Fine Wine to finish, where you’ll uncover the philosophy behind this prestigious label.